Quickly vet scenarios, pathways and flow from screen to screen. Interaction design is at the heart of UX Design. Everything we do impacts the user’s interaction with the interface and the brand. To do good interaction design you need to ground your design decisions on empathy (user research) and business objectives. An iterative approach to rapid sketching the screen interactions of user interface (UI) direction. Early on prototypes are created to vet ideas and easily tested with users for feedback (without committing any code). -Wireframe concepts before developing or graphic design. -Rapidly visualize interactions, workflows and conversion paths. -Get early on validation and proof-of-concept of a design idea, feature or overall direction. 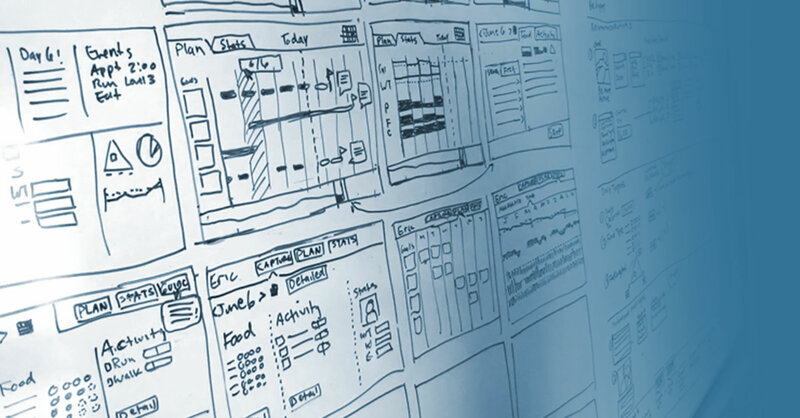 -Specify wireframes so use for user testing and to guide development teams. Interaction Design, Information Architecture, UI Design, Emotion Design. Wireframes. Interactive clickable prototype. UI Design Specifications. Rapid prototyping groups had 45% less effort to complete task (UCLA) and 80% less request for clarification from dev teams using rapid prototyping. Typically after a field study (the task analysis is used to inform the optimal interaction flow). Rapidly sketch ideas collaboratively with stakeholders. Use Design Studios (collaborative sketching workshops to vet ideas). 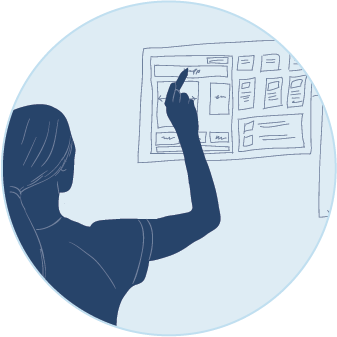 Create wireframes to make decisions about navigation, flow, layout and display of key tasks.